Gator’s All 2 Clean is a professional strength concentrated cleaner & degreaser formulated to work on a variety of different exterior surfaces on a variety of different contaminates. All 2 Clean works hard so you don’t have to on brake dust, dirt, road grime, and grease. It’s concentrated formula allows you to get more for your money by allowing you to dilute the concentrated product with water according to your cleaning needs. 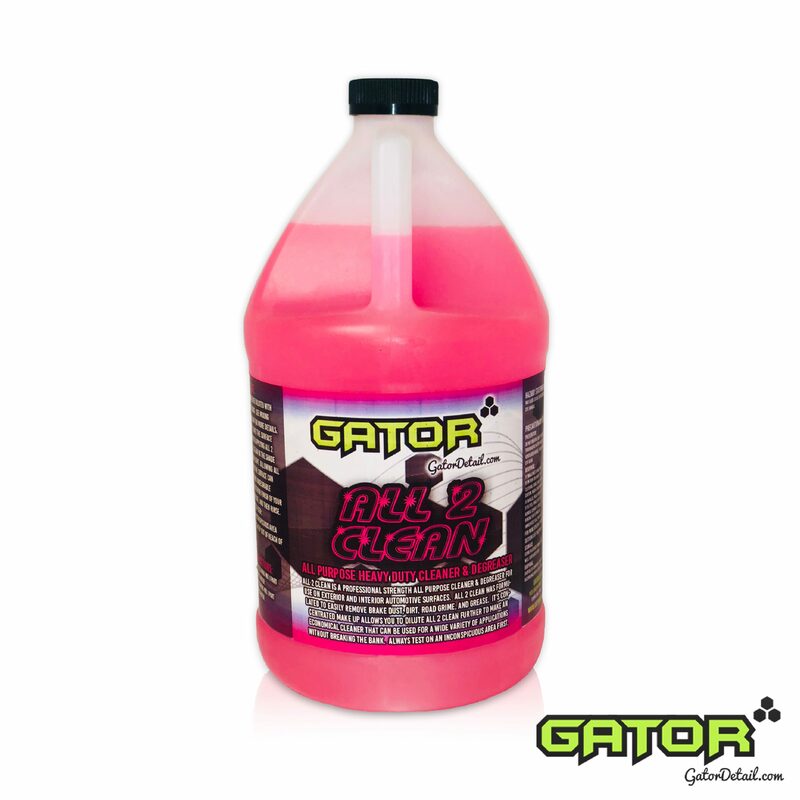 Gator’s All 2 Clean is a Multi-Purpose Cleaner for Professional Detailers. All 2 Clean should be diluted with water prior to using. See the labels mixing instructions for proper dilution ratios and always make sure the surface stays wet when using All 2 Clean. Never allow the chemical to dry on any surface as it may damage the finish.